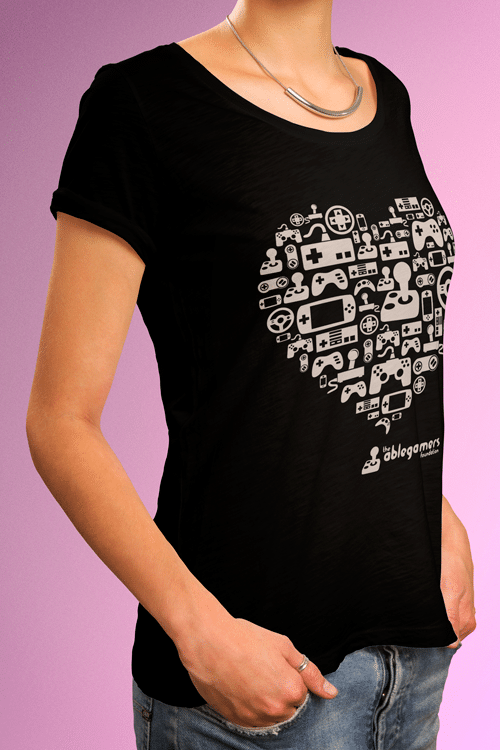 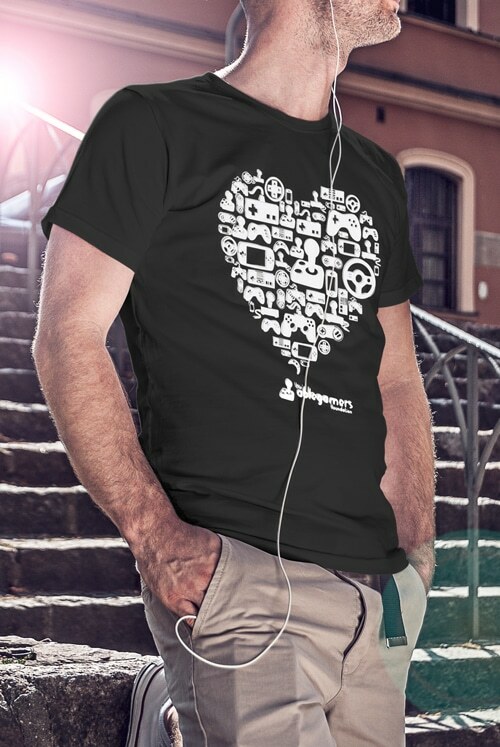 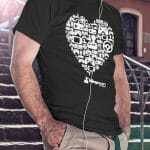 A black tshirt with a large heart design in the center. 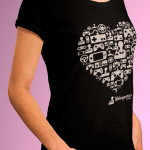 The large heart design includes many different types of game controllers. 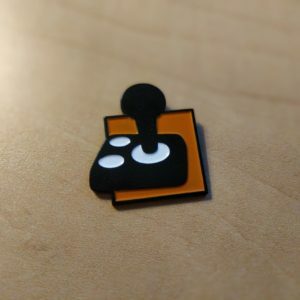 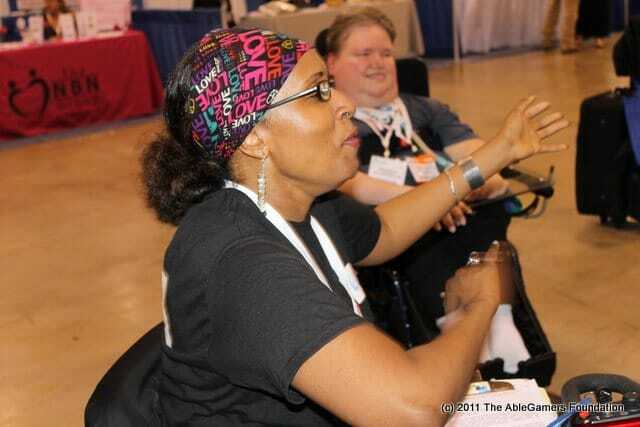 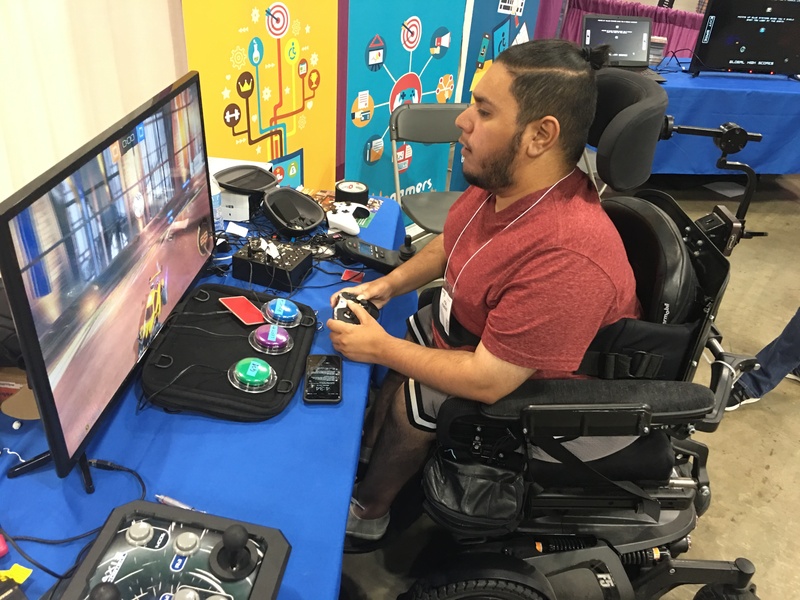 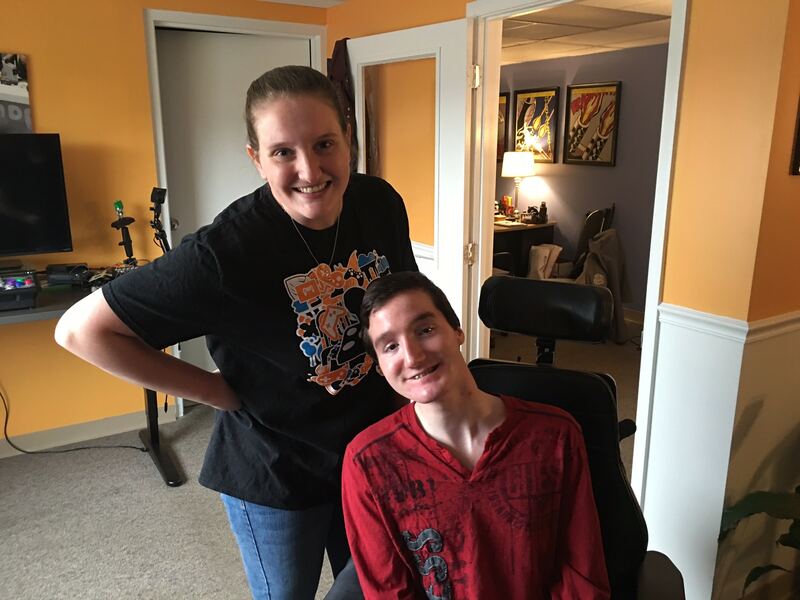 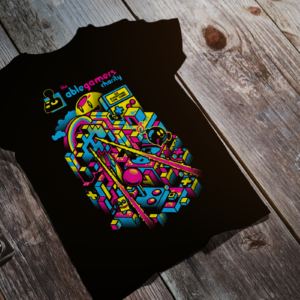 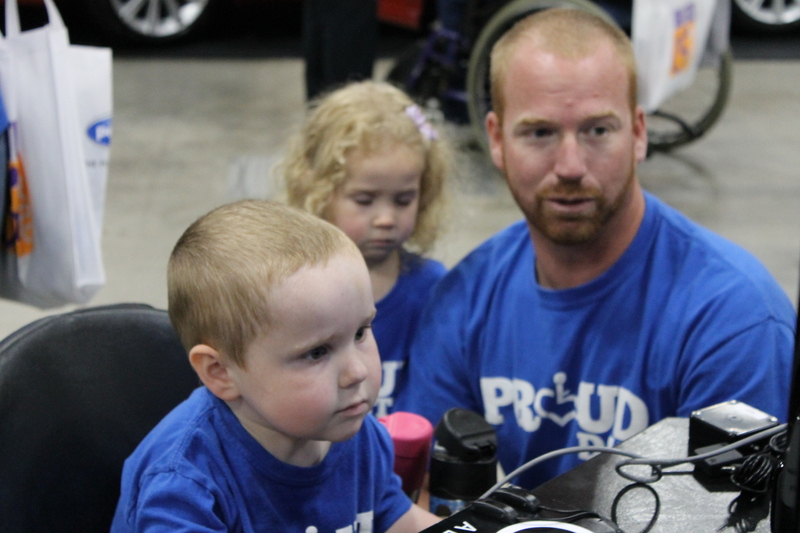 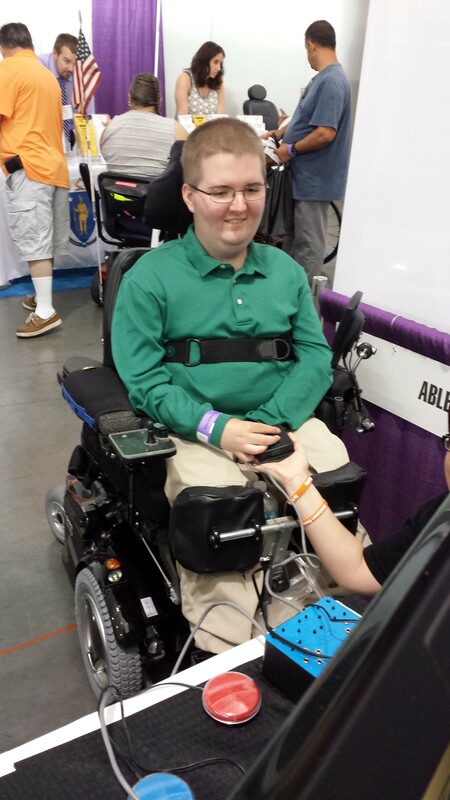 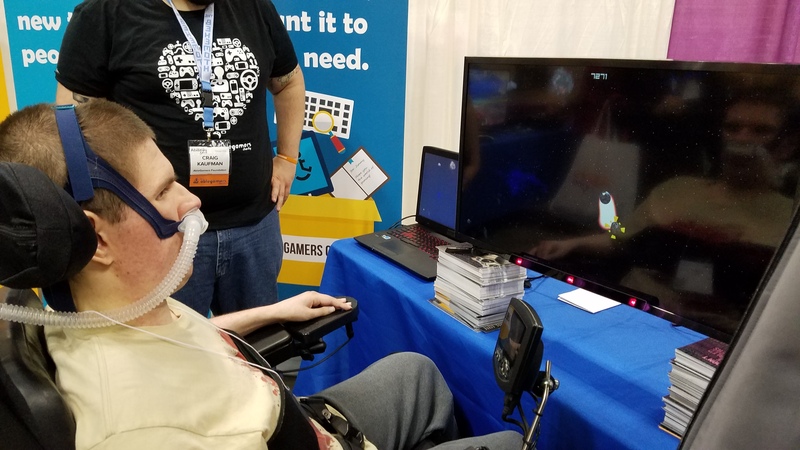 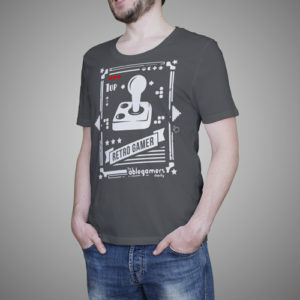 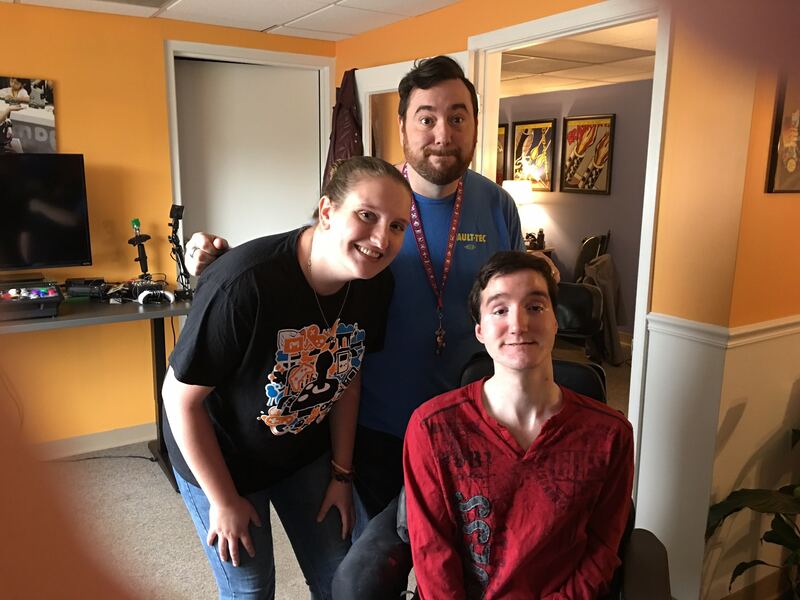 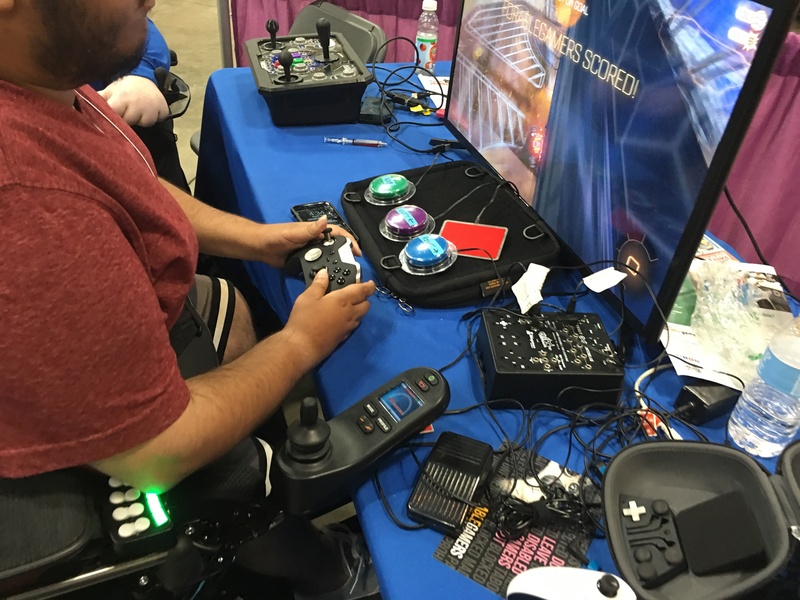 The text “The Ablegamers Foundation” is located at the bottom of the heart.